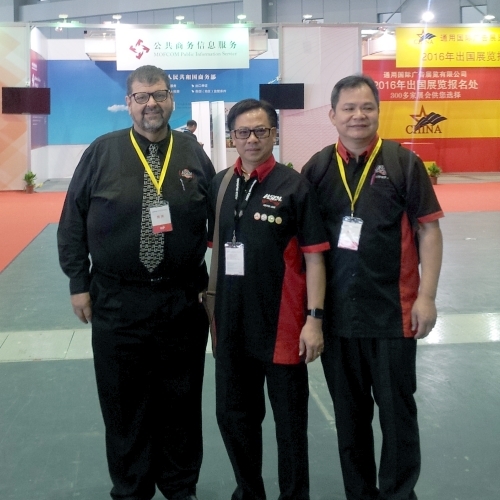 IASCA Showcased in China at Major Automotive Event | IASCA Worldwide, Inc.
SHANGHAI, CHINA (10.01.2015) – During the China International Auto Products Expo (CIAPE) held last week at the NECC, the World’s largest exhibition complex, IASCA President Paul Papadeas was summoned to officiate at a four day IASCA China SQ event. In addition to worldwide automobile brands, CIAPE exhibits a plethora of manufacturers of industrial machinery and heavy equipment. Primarily featured as a trade show, the event is also open to consumers on one of the four days. Within the CIAPE event, the China Auto Modification Accessories Association (CAMAA) maintains a huge section for all things in the automotive modification aftermarket. Executing its commitment to promote mobile electronics to both the trade and consumers, IASCA Worldwide and its Pan-Asian Director Samuel Tan, coordinated with IASCA China President Jordorn Xie and CAMAA to host the “IASCA MASTERS SOUND QUALITY RACE” This championship competition drew more than 80 “best of the best” finalists from all over the country with many competitors and enthusiasts driving several days to reach the show. 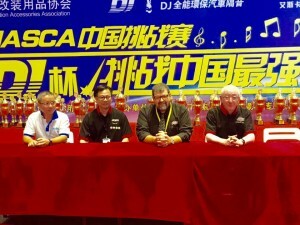 Four days of championship judging ensued with IASCA Certified Officials from China, Singapore and Taiwan evaluating some of the country’s top Sound Quality vehicles. Attendance was amazing and spectators had a great opportunity to experience great Auto Sound. “It had been 10 years since my last trip to an IASCA China competition”, Papadeas said, “The degree of professionalism and installation prowess has increased dramatically. 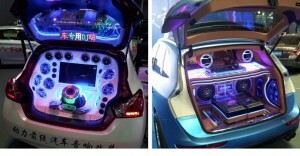 There also was great emphasis on cosmetics as well, with many of the vehicles decked out with custom fabrication and LED lighting features”. 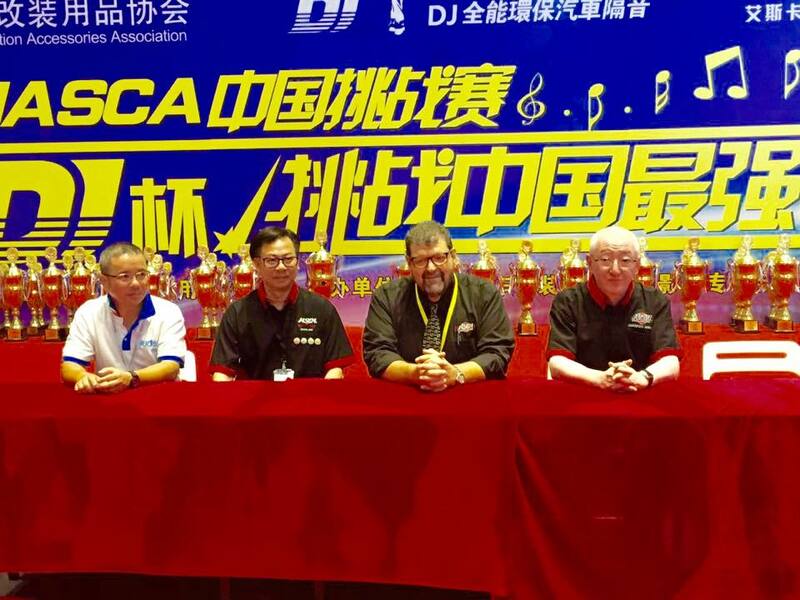 Several brands of auto sound were represented through Chinese Dealers and Distributors including elettromedia, Arc Audio, Audiopipe, JL Audio and more. Next year’s event is already in the planning stage with expansion to incorporate more floor space indoors and the addition of an outdoor exhibit and competition of Performance Sound Systems in the revised format: ISQPlus. “I’m proud to carry on IASCA’S commitment to proliferate the industry worldwide” Papadeas continues, “I’m also pleased to see that Brand participation in these international trade/consumer events go to great lengths to help accomplish our collective promotional goals. To that end, it troubles me to see, that in all my travels, the Brand support at international events is so much greater than it is here in North America, the continent that sets the stage for our industry’s future”. For more information or commentary contact info@iasca.com. For more info on the CIAPE please visit www.iapechina.com.